Last night, in the wee hours while i slept, I had my first ever repeat customer for either of my online shops. I had sold this lovely person a voodoo dolly broken heart keychain sometime last week. 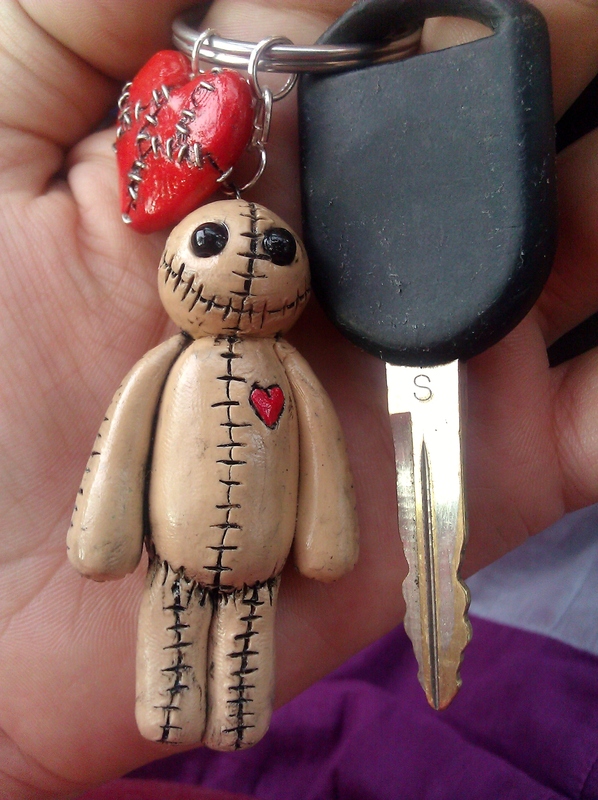 Link here: https://www.etsy.com/listing/120032480/voodoo-doll-broken-heart-keychain I made it, and sent it to the far off lands of Germany, and prayed that it got there in one piece. Well, I’m assuming that it has as last night he ordered not one, not two, but THREE items from me! That’s right! THREE items, which is amazing and the biggest sale, not montetarily, but quantity, that I’ve ever had. So he broke two of my firsts! Yay for this awesome man and yay for me! I’m not only international, but I’ve now got repeat customers. 😀 Now I have to get cracking on making two voodoo doll necklaces, and another keychain!